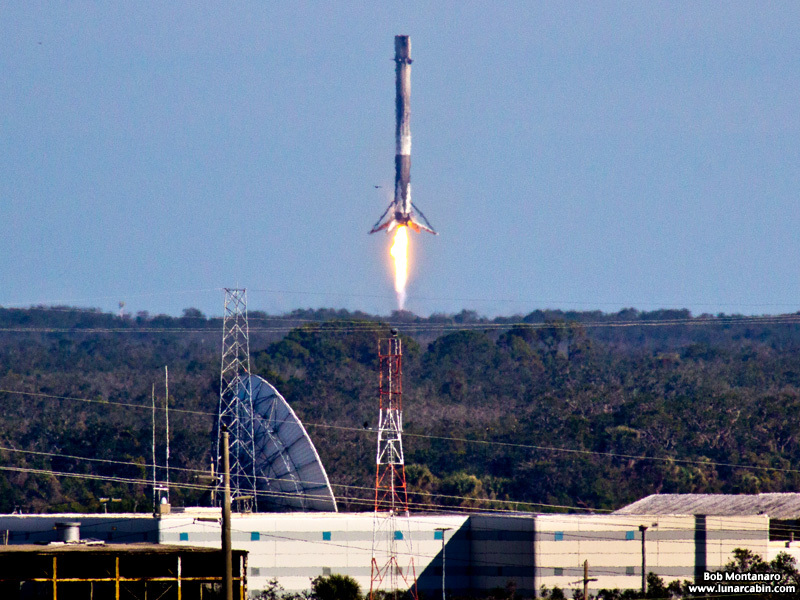 SpaceX’s Falcon 9 rocket launched a Dragon spacecraft on a Commercial Resupply Services mission (CRS-13) from Space Launch Complex 40 at Cape Canaveral Air Force Station to low-Earth orbit to deliver 4,800 pounds of crew supplies, science and research equipment, and other cargo to and from the International Space Station for NASA at 10:36 a.m. on 15 December 2017. Seen here, following stage separation, Falcon 9’s first stage landed at SpaceX’s Landing Zone 1 (LZ-1) at Cape Canaveral Air Force Station approximately 8 minutes after launch. Click for more CRS-13 launch and landing images.